Easy to set up with no building permit required, this portable garage will keep your car dry and protected from the sun. The structure is made with a rust-proof, heavy duty, steel frame and wide bases that can last through almost any type of weather. 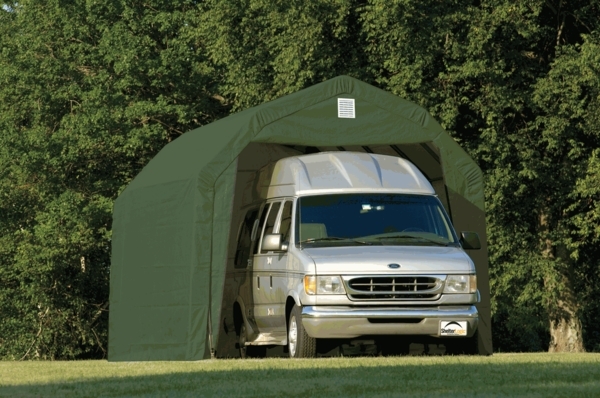 Tear resistant and UV treated, the green canopy with white interior can hold up well under the sun. The door height is 8' 6", allowing for easy access with most vehicles. 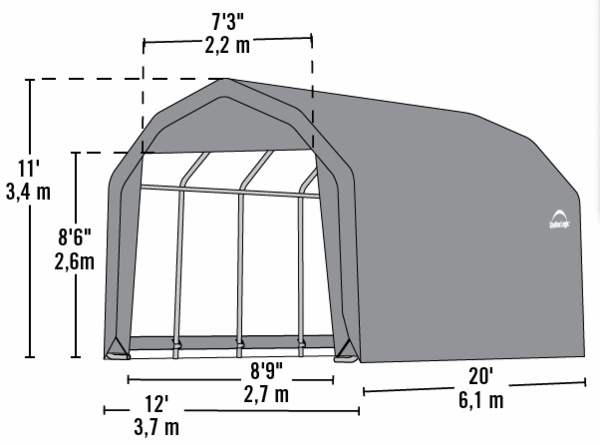 Also, this sturdy tent comes with a 1 year warranty.